San Francisco, CA – February 29, 2016. Dr. Alex Rabinovich MD, DDS, a top oral surgeon in San Francisco specializing in procedures such as wisdom teeth extraction, dental implants, and orthognathic (jaw) surgery, is proud to announce a major upgrade to his oral surgeon website. In addition to visiting the newly updated website, one can learn a great deal about Dr. Rabinovich as a San Francisco oral surgeon on the newly updated landing pages. Of particular interest is the page on wisdom teeth, as this is one of the more common procedures. Patients interested in dental implants in San Francisco are referred to his sister website at http://www.sfdentalimplants.com/. Procedures available at his Oral Surgery office include, but are not limited to, the following: dental implants, bone grafting, wisdom teeth extraction, and jaw (orthognathic) surgery. 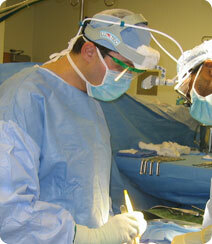 In addition, surgery for disorders such as TMJ and sleep apnea are increasingly in demand. While the website is fully updated with new, 2016, information on procedures, interested patients are encouraged to reach out by email or phone for an in-office consultation. All patients are different, and individual results may vary. This entry was posted in Blog and tagged oral surgeon, Oral Surgery, San Francisco, Wisdom Teeth on February 29, 2016 by Dr Alex Rabinovich.